The perfect e-bike for the City or long countryside leisure rides the Traditional Roadster frame built in triple butted aluminium with 28” wheels gives a commanding riding position. 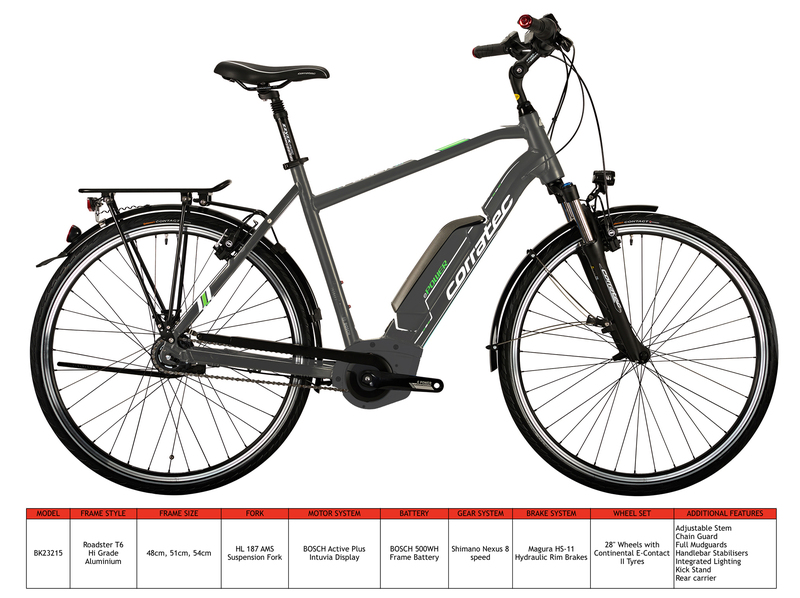 Bosch Active centre drive motor system with a 500wh battery that maximises distances between charges and Magura HS11 hydraulic rim brakes are just some of the highlights of this premium e-bike. Traditional Roadster frame built in T6 high grade triple butted aluminium matched to front suspension forks delivering a smooth and comfortable ride.